It's one of those mornings. Just kidding. Every morning is one of those mornings. 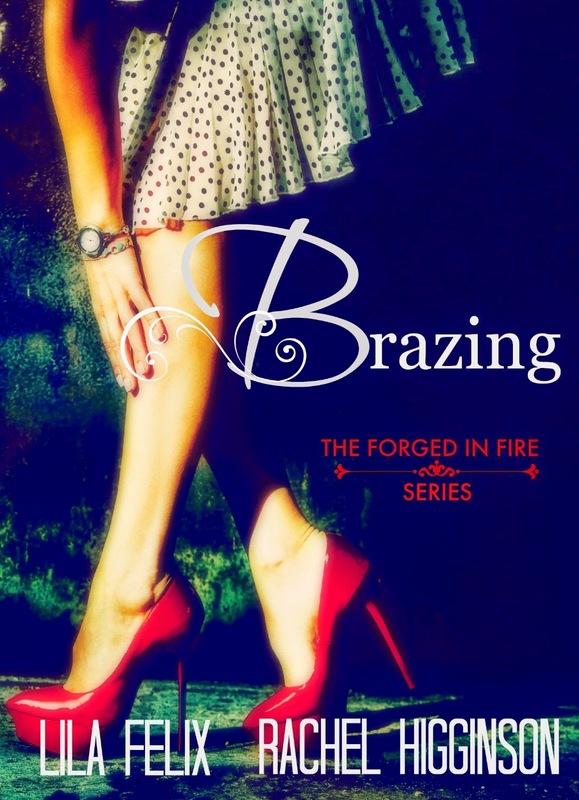 Okay, so probably the biggest news I have for you is that Brazing came out over the weekend!!!!!!!!!!! Lila Felix and I are so proud of this book. We worked so hard on it and it came together better than either of us expected it to. I just hope you love it. What you might not know, is that the story follows closely to what my little brother went through during his college years. My family is kind of plagued with cancer. My dad fought it for five years before it took his life when I was twenty-one. And during one of his remissions, my brother ended up with Hodgkin's Lymphoma. My brother is one of the strongest people I know. He fought through his illness, his treatment and his recovery and is now happily married and successful. Sometimes Cancer stories are all about death and disease. But I know this sickness well. I spent a lot of years of my life in hospitals with my loved ones and listening to diagnoses and treatment assignments. I sat with my dad while he was at his sickest and while he was in remission and then on his deathbed. I drove my brother to his treatments and watched while he shaved his head after his hair started to fall out. I watched him become so weak I hardly recognized him. And then I watched him fight his way back to life. There is a lot more to life when someone gets sick than just the being sick part . And there is a whole lot of hope when you're treated early and when your doctors have wisdom. It is not a story about how complicated and evil cancer can be. It's about the hope that one girl still has for her life and for her future. We all go through difficult times, whether it's cancer or our own personal battle with anything else, but no matter what private hell we walk through, we can always have hope. So. After all that. I truly hope you enjoy Brazing and Tate's journey speaks to you!!! If you haven't read Striking yet, the first book in the series, go pick that up first and enjoy getting to know the Wright family and our little town of Constance, Tennessee!! I devoured this in one day! I thoroughly enjoy the Wright family and can't wait to read all their stories!! Keep em coming, please! !